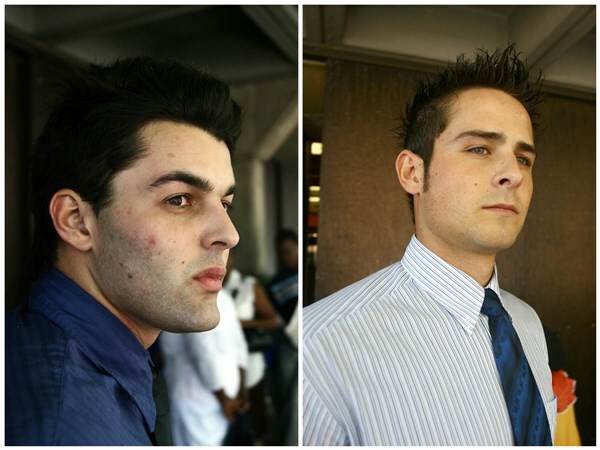 Two of the "Waterkloof Four" will remain in custody pending a review of their parole following their jail cell party, the correctional services department (DCS) said on Wednesday. Surely they must have known someone would catch them out? Or did they just believe they were so invincible nobody would release their little video to the world? Nobody knows what went on in the minds of Christoff Bekker and Frikkie Du Preez, two of the so-called Waterkloof Four, when they made the clip showing them having a grand old time in jail. But it doesn't really matter now because they're both back behind bars. The Waterkloof Two, as they've been renamed, will remain in custody pending a review of their parole following their jail cell party, the correctional services department (DCS) said. "Following a decision of the supervisory committee, [Frikkie] du Preez and [Christoff] Becker will appear before the Correctional Supervision and Parole Board (CSPB)... for a review of their parole," it said in a statement. Convicted killers Du Preez and Becker were re-arrested on Sunday, four days after being released on parole. This was after a video, reportedly taken on a cellphone, was posted on YouTube. It shows Du Preez and Becker allegedly drinking alcohol, and using a cellphone in a jail cell in Pretoria's Kgosi Mampuru prison. Correctional Services Minister Sibusiso Ndebele on Wednesday warned "anarchy" at correctional centres would not be tolerated. "Any official, or offender, found guilty of any such offence will face the full might of the law," he said. "As DCS, we will fight fraud and corruption with vigour." The DCS said an average of 64 prisoners were granted parole in the country every day. In addition to the country's 156,939 inmates, 65,931 were outside correctional centres living in their respective communities. Compliance with parole conditions currently stood at 98.4 percent. Get the latest issue of YOU for more on this story. A body language expert gives some insights into Christoff's manner and prison experts outline exactly what rules were broken and what you are allowed to have in prison.